Rottweiler names can reflect their tough image, but they can also tell the world about the dog you know her to be. That means this breed is ripe for some truly epic names. For more inspiration check out our huge Dog Names library. Ideas to suit every pup! 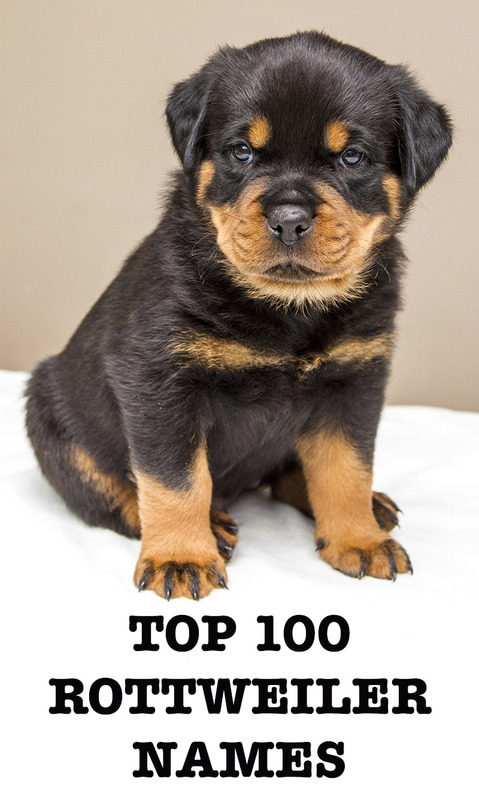 In this article we are going to share our selection of top Rottweiler dog names. From generally awesome tough and strong dog names, to cool names and cute names. To those inspired by more unique topics, like comic books and mythology. Good dog names for Rottweilers are just a scroll away! If you’re looking for some genuine ideas that would be great for any dog, then strong dog names are a great place to start. Below are some of our top dog names for Rottweilers with attitude. 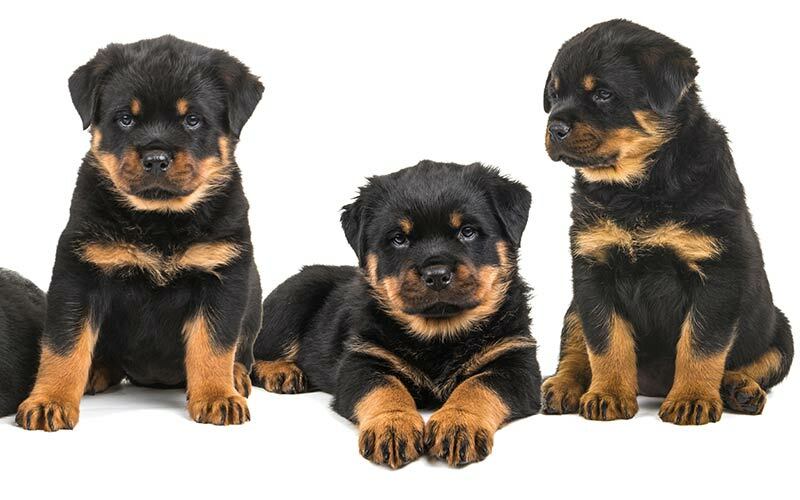 These Rottweiler names would sound great on just about any Rottie, but lots of people prefer a more gender specific approach to naming their Rottweiler. Sometimes you want some more feminine ideas that fit into the Rottweiler female names category. The selections below are strong girl Rottweiler names. But what about those beautiful boy Rottweiler pups? If you want some male Rottweiler names that sound distinctly masculine, below are some fun ideas. Greek Mythology is just one creative place to pull strong-sounding Rottweiler male names from. Outside of more specific Rottie names themes, below are some more general names for Rottweilers that may fit your dog. The strong and cool-sounding Rottweiler puppy names below might just contain your new friend’s name. If you’re looking for some girl Rottweiler names that really pack a punch, below are some of the strongest female Rottweiler names around. Enjoy this list of Rottweiler female names! Along the same lines, your male Rottweiler may go perfect with one of these tough male Rottweiler names. Let’s not forget another defining trait of Rottweilers outside of their hefty size and tough look. They’re also super cute. The Rottweiler’s wide, trusting and soulful face draws you right in. So below are some cute Rottweiler puppy names. But not everyone wants cute from a name. What a lot of us want, is something that is just plain cool. Want to look at some names that sound cool, topical and maybe a little humorous? Below are some dog names for Rottweilers chosen for their coolness factor. When it comes to good names for Rottweilers, you can’t discount the classics. Classics are usually classics for a reason, after all. These names strike the balance between sounding cool and tough. Another popular way of naming your Rottweiler is to give them a German name. 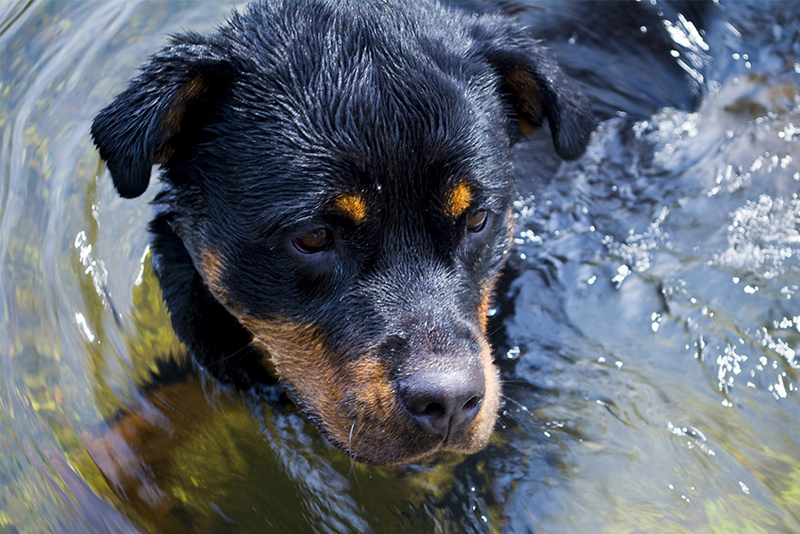 Although Rottweilers are descended from Roman drover dogs, strong German Rottweiler names might well suit your dog too. Your dog’s size and the strength inherent in German names will go well together. Want a Rottweiler name that you won’t hear called out in the dog park and seven dogs come running? Then take a look at the Rottie names below, which were combed from comic books, mythology and sci fi. 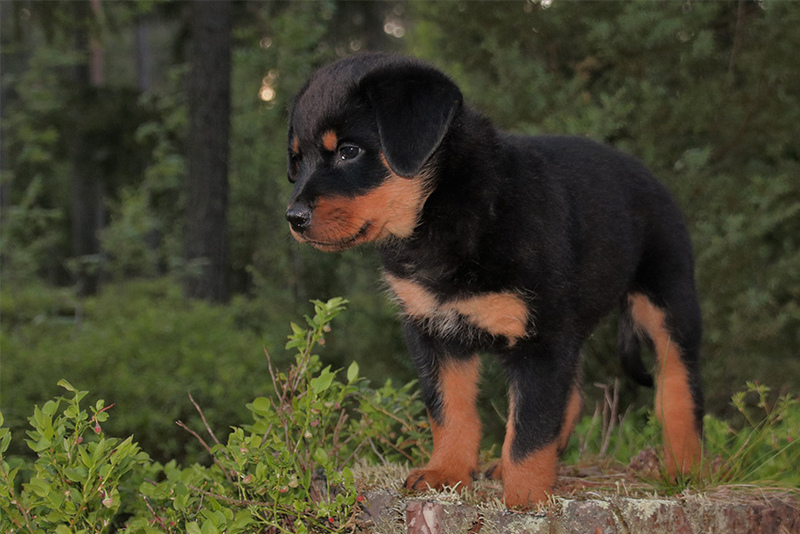 When looking at good names for Rottweilers, you’ll want something that sounds epic and mighty. So comic books are a good place to turn to, along with a couple of other classic dog names. And finally, below is a list of some good names for Rottweilers. These names range from classic favorites to cool-sounding unique names. What’s your favorite Rottweiler name? Have some good names for Rottweilers, but they aren’t on the list? Feel free to share your favorite Rottie names in the comments section below. Bringing Home A New Puppy? Then you’ll want to grab a copy of the amazing Happy Puppy Handbook. It’s a complete guide to caring for and raising your new furry friend. My baby boys name is Sinbad, i love my baby boy! My 2yr old female rottie is officially known as Royal’s Enza von der Foster, not wanting to seem pretentious at doggie day camp, she is just known as Beaux…..
Over the years we have loved and lost 4 special rotties. Every one of them had a unique and special quirk in their personality that made us laugh and it still does looking back. Sadie was 10 when she passed away and we had to spell things out because she would get too excited of she heard us talking, we also had to sneak bananas into the house or she would bark till she got one, Odin was Sadies son, he was our gentle giant, we lost him early 1 day after his 3rd birthday, results showed he passed from walking pneumonia, Brimstone was 7 and he thought he was a cat, he would walk along the back of the couch and sleep next to the cat, we rushed him to the vet one evening but he couldn’t be saved and passed from heart failure. Jadis was 10, we lost her last year do to old age, she was amazingly smart and taught herself how to unlock the dog door, if she heard you lock it then she would un-lock it just because she could and she loved to keep the other dogs locked out. It’s been a year since Jadis passed and though we still have another rottie named Gunner who is 6 we decided to get a new puppy to bring in more laughs and to help our family and our Gunner to heal. It hurts so bad to lose a pet. But all the times I’ve had with them I am so thankful. I will see them again someday because I believe dogs have a soul, some people don’t, but dogs do, when I look in their eyes I see it, I feel it and I believe. Our first Rottie’s name was Cherokee Chief Ridge. We named him after a prominent chief of the 17 hundreds. We called him Chief. He had a heart of gold. He greeted everyone gently. We had 8 glorious years with him. We lost him to cancer in 2001. Our second Rottie was a precious girl named Qualla. Qualla means “Polly” in Cherokee. She was our dancing girl! She would stand on the floor and wrap her front paws around our waist. We would hold on to her shoulders, turn up the music, and her little nub wiggled with some fancy dance steps! We lost her to cancer, she was 8. We now have twins! Joshua and Jessica. They are 9. Joshua is our gentle beast! He loves to give kisses. Jessica is our princess! So sweet. There will always be a Rottweiler in our lives. This breed is remarkable! I’m so excited to hear story, we are picking a Rottweiler up today. I’m super excited, trying to come up with a name. I have a son- Neil and a daughter Gwen. So far we have Marli or Maggie. Any suggestions? My boy is almost 5 months old. His name is Gryphon Dougle after my Irish heritage. He is such a joy. Kora was our first big, Alpha female. Molly was our second she was more laid back. I will be 67 this month. My wife asked, are you sure you want to get another big Rhott that will chew up everything in the house and push and drag you around the way they like to do? Heck yeah I do. They are The most extraordinary dogs. I can’t wait. Kora used to come over and put her giant paw on my leg and look me in the eye and make that low pitched growling sound when she wanted attention. Which was all the time. It wasn’t a threatening growl, it’s just the way they roll. Grrr. look at me human. Those are 3 great names for a Male. We are getting our 3rd female trying to pick a name for our new human owner. I miss my two rotties, Diesel and Sarg. I have a 6 month old female. Her name is Ursula, Uschie for short. She is the best puppy I have ever had. I am seriously. considering adding a half sister from a litter due to be whelped the middle of November. My most precious boy Ruckus passed July 27,2018 at 9&1/2 years. He was my constant companion, l have no words to say how much my heart hurts from missing him. We also had our amazing sweet girl Miska, she was with us 7 short years. Cerberus, Cerbie for short was a mssive giant of the most gentle kind ever. He blessed us with almost 14 years. Tachi was our first rotti, she was the most amazing loving “Go Home Team” sweetheart. She was the anchor for our 30 + years of loving rottis. I am trying to open my heart once again, but the hole left by my Ruckus is just so huge. He truly was a once in a lifetime dog. I just lost my Medwin. 01/17/19. 12 years and 3 months old. His personality was so big even up to the end. My first Rottie mix was Maxine but we usually called her Max. She was a great dog! My next Rottie/German Shepherd mix was Tobias (pronounced toe-BEE-us) Maximilian. We had a rescue girl we named Harley Quinn because she was beautiful and crazy. We currently have 4 Older and two puppies. All my Rotties were males…. 1st was named “Bastian” from the Never Ending Story….. 2nd was “Allister” named after Allister Crowley……3rd was “Jaeger”….LOVE ROTTIES!? Bruno is the name of my rescue rottie. He was already named this. Bruno actually means shield or armour in German which makes it even more appropriate than meaning brown. Hi I had a beautiful Rottweiler, her name was Countess, she was loyal to me, my beautiful baby girl I loved her so much. Countess lived to be 12 years old. Her life story will be told in the book I am writing. Countess was an amazing Rottweiler, Her Life, Her True Story will be told. I’ve just lost my rottie mix, Shrek, to old age. He was just a week shy of 14 years old. Best dog ever! 3 Rott’s in the past and one on the way….Booker-T, Gretchen, and Gunther. Great members of our family. I lost my 4.5 months old puppy this morning to Parvo Virus despite all the vaccines and the best treatment given by vets. Her name was Coco. I do not know what im going to do without her..
I’m so sorry! Over 20 years ago I lost my beautiful Rottie, Sheena, to some kind of internal issue. All the pups in her litter died. She was nearly 5 months and it crushed me for a long time. Losing a puppy is so very hard, hang in there and when you are ready there will be anothy beautiful puppy for you. My baby boy turns 7 months old today and his name is Thor. I love him so much, it’s sickening. He is like a little person! I have a female Golden Retriever who’s going on 9 years of age and yes I love her very much, of course, but there’s just something about my little boy. I think I may even love him more than my husband! That’s true love right there. I wish I could find that. My beautiful Rottie Jada passsed away November 30th. I have just found a new puppy from a breeder that I will pick up mid June. She will be named Deja in my girls honor. best breed in the world. My 3yr old is named bear! he bonded to my husband after his first 6 mnts they grew very close bear is definitely a mans bestfriend!sadly we lost my husband to cancer with no warning by the time bear turned 2!this changed all our lives me bear and dodge 7 yr old Shepard/rottie mixed! Defiantly my bodyguard…lol.i know bear loves me but he tends to have a close bond w my nephew even nipping him when he trys to leave for work!i believe he mornes my dear Ricky!its coming up on a yr in may of our loss!hoppfully i can give him what our Ricky did???? I had a rottweiler named Bear. Me and Bear had a very good bond that was never going to broken… Well thats what i hoped, sadly we lost bear… I grew up with Bear. He died of old age just over 2 months ago. That dog was sooo protective it was crazy. Mate my Bear ,turned into my assistance dog ,as a Vet I have heaps of problims. That Bear bought me back to a more out going person . Sadely Bear just died in his Liver collapsed. My boy was only 3 ,every one that came in contact fell for his charm. my first rottie was max, he passed in 2007. my next rottie was sapphire, she just passed february 20th at 10 years old, I miss her so much, she was my best friend. I’ve had 3 female rotties the mother Tushka she was 15 when passed and two of her pups pacha she passed 3 years ago aged 9 and tushka passed the same day. I’ve just lost Dashiki two weeks ago aged 12 to bone cancer ? 15 years old?! That’s awesome. I only got 10 out of my boy. I just lost my girl a week ago to bone cancer ? I’ve never been so sad in my life. I had the best 10 years with my sweet girl…. My best boys just got my 4th one today debating on names! I like the name Guinness for a boy I lost my little girl to old age 14 & half 31st may last year she was the best. Bear was our male and Bella was our female – they had 9 pups and the runt of the litter was named peanut. 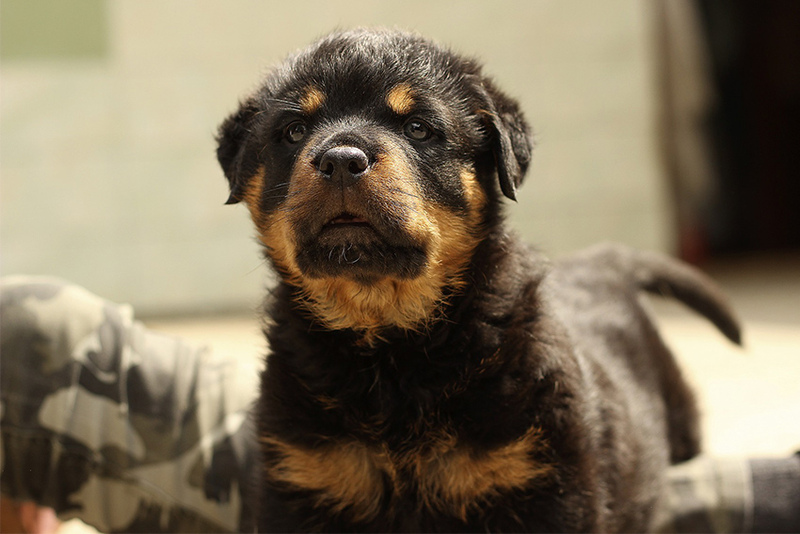 I had male rottie Bono…he passed away 7 days ago…He was 1 year and 10 months old? I had two rotties for ten years. both of them passed away on me in the last years. I have their asses. thay both had cancer. and now i have cancer to.every thing to day causes cancer. I hope to get another rottie to day. thay had a great life with me and i had a great life with then.thay are your100%companion for life. I lost my girl over 4 years ago..Dakota. Breaks my heart every day. We are getting a new pup this week. We agreed to name her on the drive home. Aww my girl was Dakota to. She was the best dog I have owned so far. So mellow and loyal to the entire family. Sadly she passed away last November to cancer. We finally just got a new rottie female yesterday and cannot think of the perfect name yet. I loved the name Dakota! I can relate. I lost my boxer/german sheperd/pitbull/Rottweiler mix to congenital heart disease, on June 14th. She was one year, two months, and ten days. Her name was Delilliah. She ment every thing to me. She was what got me out of bed every morning. I have/had severe depression. She stopped me from committing suicide multiple times. She was a true angel, and now she’s with all the other angels. I have a new Rottweiler puppy named Eleven, and though I love her dearly, she will never replace Delilliah. I’m sure she’s playing with your baby and all the other babies in heaven. I love you Delilliah. I will never forget you. I promise. Omg I’m so sorry to hear that but the EXACT SAME THING happened to me! YES! My new doggo’s name is Nitro, but sadly, we had to put down Zeus. My daughters Rottweilers name is Thor ( Norse god of thunder) I’ve been looking for a Native American name meaning small horse or little Horse. Any hints? Have had 2 rotties. One was called Hoffman and his mate was called Helga. Male Rottweiler I once owned was called Balto von Rottweil. My beautiful Rottie will be “LOBO”…meaning wolf.